Click here to learn how to enable it for your browser. 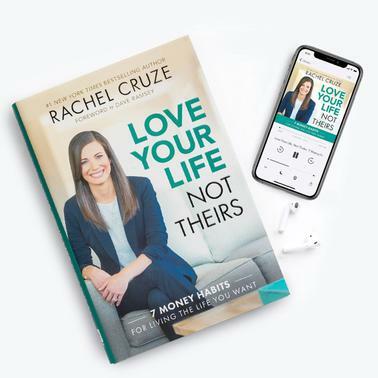 Your digital audiobook copy of Love Your Life, Not Theirs will be available as a download link in your order confirmation email after check-out. This online exclusive includes both the Love Your Life Not Theirs hardcover book and the audiobook for one low price! The audiobook is narrated by Rachel Cruze. To get your downloadable product, simply complete your order and then open the order confirmation email you will receive at checkout. Click on the link in your confirmation email and your audiobook will begin to download. Audiobooks are delivered as M4B format, unless otherwise noted.